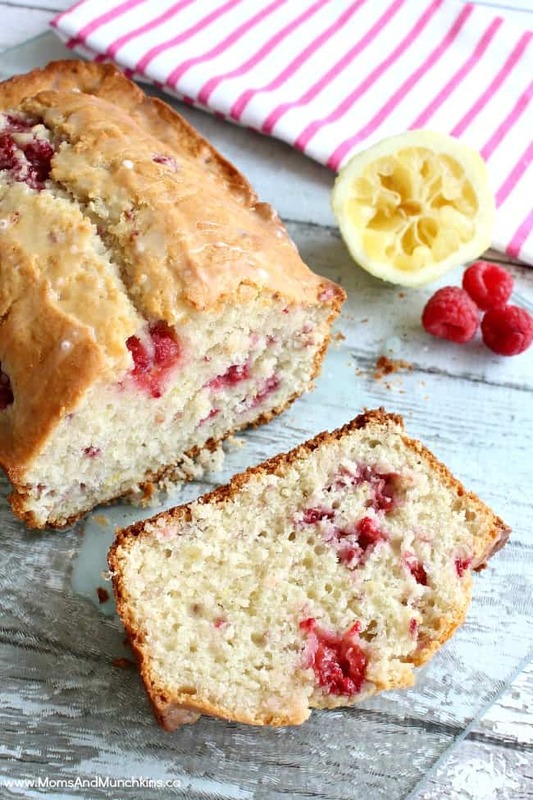 Bread recipes with fruit are a delicious breakfast treat, a mid-day snack or the perfect item for your next bake sale. The sweet taste of these breads makes them a tasty idea for your next tea party. This is one of those bread recipes with fruit that looks like you spent all day making it but it’s actually incredibly easy to make! Impress your guests with this fancy treat that is quick & easy to make. Grease bottom only of 9x5-inch glass loaf dish. In medium bowl, beat eggs and granulated sugar with wire whisk. Stir milk, butter, 2 tsp lemon peel and raspberries into egg mixture. Fold wet mixture into dry mixture just until moistened. Bake 1 hour or until golden brown and toothpick inserted in center comes out clean. Cool for 10 minutes and them remove from pan to cooling rack. Cool completely for 2 hours. In a small bowl, stir powdered sugar and lemon juice until smooth and thin. Drizzle glaze over bread and garnish with lemon peel strips. 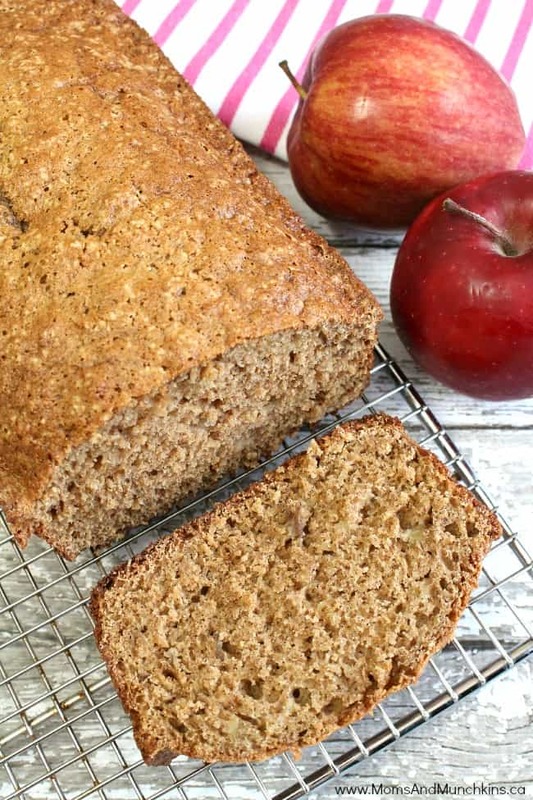 This Apple Bread recipe can be made into mini loaves for the perfect snack in your child’s lunch kit. Instead of a full size loaf pan, this recipe can be made into mini loaves as a perfect lunch time snack. Grease bottom only of a 9x5-inch loaf pan. In a large bowl, combine first seven ingredients. In a second bowl, mix together apple, apple sauce, eggs and lemon zest. Add mixture to dry ingredients and stir just until moistened. Gently stir in nuts (optional). Bake 55 to 65 minutes or until toothpick inserted in center comes out clean. Cool 10 minutes before loosening sides and letting cool on rack. Cool completely (2 hours) before slicing. This delicious bread only takes 15 minutes to prepare. It freezes well so it’s a great treat to keep on hand for special guests. This bread is quick & easy to make (only takes 15 minutes to prepare) and it freezes well. Grease bottom of a 9x5-inch loaf pan. Stir Bisquick, oats, sugar, bananas, milk and eggs in a large bowl until moistened. Beat on high speed for 30 seconds. Bake for 45 to 55 minutes or until toothpick inserted into the center comes out clean. Cool 10 minutes before loosening sides and cooling directly on rack. Cool completely (about 2 hours) before slicing. Never miss a delicious update by following along on Facebook, Twitter, Pinterest and Bloglovin’. Not only are your recipes delicious sounding, but your pictures are beautiful too. Visiting from Jam Hands. That’s so sweet of you to say! Thank you, Shawna! 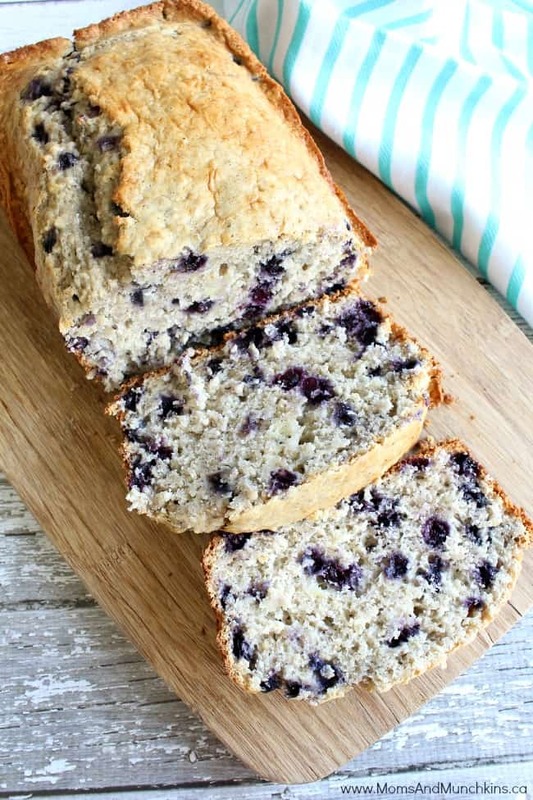 Oooh, the Blueberry Banana Bread sounds just delicious! The Apple one sounds really good too. They were all so delicious! I’m pretty sure I ate way more than my share. Your breads look so delicious! Thanks for sharing at Simple Supper Tuesday. The addition of apricots is fresh and tempting. Thanks for sharing on BeColorful this week. What a great resource for fruit breads. They all look awesome and I can wait to start trying some of these recipes. Thank you so much for sharing this with the Less Laundry, More Linking party. This would be so good for breakfast! Thanks for linking up with What’s Cookin’ Wednesday!